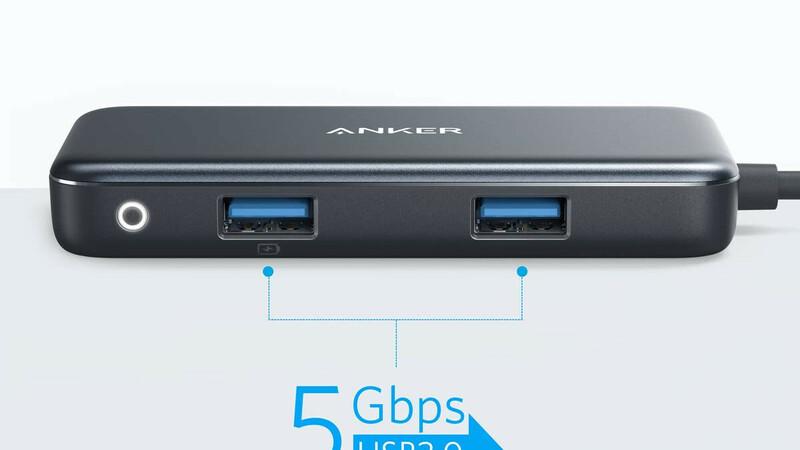 Deal: Anker's premium 4-in-1 USB-C hub on sale, save $20 (40%)! If you want to maximize the functionality of the USB-C port on your laptop or tablet, grabbing a hub adapter is the way to go. Those of you looking for a high-quality product will be happy to know that a premium Anker 4-in-1 USB hub is now on sale at Amazon at 40% off! To take advantage of the discount, enter the code AKCHUB36 at checkout. This hub features 1 USB-C charging port, 1 USB-A charging & data port, 1 USB-A data port, and 1 HDMI port. You can transfer files at speeds of up to 5 Gbps, and you can charge connected devices at 1.5A while transferring data at the same time. The HDMI port allows you to display 4K videos at 30Hz. Additionally, the USB hub comes with a nice travel pouch and an 18-month warranty. If this deal interests you, the above widget will lead you to Amazon.